1,130 experience to go until the next level! Did you do a successful npm install? @mass6 not really. json_decode($request->all());would retrieve an array with a single key; users. And the value against it would be a JSON string, which will have to be decoded. The difference is between sending a JSON string against a POST body parameter or sending the entire body as a JSON object (with a application/json content-type header, probably what you're referring to as the "defacto standard"). usama.ashraf left a reply on DB Versioning? Not sure exactly what you mean. But the whole purpose of migrations is DB versioning. I came across two ways to accept input on a POST endpoint for a REST API that I'm building. Number 1 is harder to validate on the server-side. Can any one please list some of the benefits and drawbacks of each approach? Which is the prefered standard? $cars is a collection. You're looking for $car->colors. npm is like composer for Node. Elixir is just a wrapper around gulp i.e. it make gulp easier to use. Webpackis an alternative to gulp. 'Webpack', gulp etc can actually be used together by employing other npm modules like gulp-webpack. usama.ashraf left a reply on Laravel Or Lumen? Lumen is an API framework (REST) built on top of Laravel. And it's good. So definitely what you want to accomplish. I'd rather not run multiple queries within a loop. I'd appreciate if any one could point to an elegant solution allowing for both Redis and Pusher to be used as broadcast drivers at the same time, on Laravel 5.2. I have existing implementations for a notification system (Pusher) and a chat application (Redis), both occupying one channel each. usama.ashraf left a reply on What Are The Best Practices In Creating Multiple User Roles/different Fields And Permissions? Have two separate roles and permissions tables. A user can have many roles. And a role can be associated with many permissions. usama.ashraf left a reply on Forgive Me, Once Again..
php artisan serve underneath uses the default php server that comes with the installation. It has nothing to do with Nginx or Apache and is used for/in the testing and/or development phase of an application since it's lightweight and obviously very easy to use. Or, you could just use the query builder with joins. But for the most part, the intent of both is the same. One important thing is that on some environments you'll have to convert the ES6 to ES5 if they don't support it. Well then may be you should state your question more clearly. By the way, that's not JSON, just an Eloquent model/object. usama.ashraf left a reply on Can I Modify ResetsPasswords? Override the required methods in the PasswordController. As a general rule, never edit the core files. That's a common problem. One version is what the server uses and the other is of the CLI. It is unnecessarily complex. If php -v still shows 5.5, you can look up how to get php 7 on a MAC. Ok. Your PHP version is probably < 5.6.4. Not unless you have a composer.json file already. Please follow the steps I outlined. If they don't work, let me know. Create a new, empty directory for your project. And delete the composer.lock file at the root of the project, if it's there. Just change it to 5.3.*. And if you're starting out, make sure there's no composer.lock file at the project root. On login, the user will be provided a JWT that will have to be sent to the node server. Your node server could then decode the JWT to retrieve the user. Or it'll fail in case of an invalid token. Ok. Your problem might be related to cookies/sessions being encrypted. But a better approach would be to use JWT (JSON Web Tokens). Look them up. Just set this in your .env SESSION_DRIVER=redis and you can use sessions just like you would otherwise. And you don't have to explicitly set the user login session. Laravel takes care of that. Why not just set your session driver to redis rather than explicitly setting it? usama.ashraf started a new conversation Any Argument For Extremely Lengthy Stored Procedures? I've recently come across the code-base and DB for a VOIP application. It's like a murder scene. The app has countless (many hundreds of) MySQL stored procedures that go up to 900 lines long ! It was written in 2006. The stored procedures hold most of the business logic (practically all of it) and the code is very much unreadable, poorly structured. One of the longer SPs that sifts through a lot of data across 10 tables (max. 5 GB) is called almost 15 times a second depending on the traffic. I was talking to the senior engineer who managed the project back then. He, to my surprise, defended the application's design very ferociously arguing that a data-intensive, read-heavy application demands such long stored procedures because of performance considerations. He was willing to do the same today, even with everything that is available now. Does any one with a database background think there's a better way? Like using in-memory stores for frequently-accessed data ? Or caching? Should good design still be important, and the business logic be shifted to the code? What kind of a situation would justify this design? Would seriously appreciate some well-thought opinions. Thank you. Have multiple route files. You can create a new one inside Http and add this to your app/Providers/RouteServiceProvider.php's mapWebRoutes method. // require files as per your needs. Each routes file should ideally correspond to a distinct module of the application. This is an artisan command not a shell command. So it'll run at the root of any Laravel project no matter where it's deployed. You don't have to that manually. Just do php artisan down to shut your app. And php artisan up for restoring it. When the app is down (in maintenance mode), it renders views/errors/503.blade.php. Just customize the message it displays on that page. Please show your routes file. This could be a case of the wrong route being invoked. Use one repository. You could opt to have separate branches for each module and then may be more branches for sub-modules (sub-branches). Keep a separate dev branch and periodically merge work from the other branches into dev. When enough work has been done that is stable, merge dev into master. I'd also recommend studying version control more. That's not really a Laravel or PHP question. "And also want to know whether to go with traditional MYSQL or New NoSQL Databases"
NoSQL should be considered if the data is unstructured. The volume is not what matters the most. MySQL can handle fairly large amounts of data. Other relational databases too, e.g. MSSQL works even better. There can be other ways too. But this works well. That's not possible. The route function call is server-side code. course.id is rendered at the client-side. But if you're not assigning any value to the project_id explicitly, this won't be called. I'd suggest a different design. Keep the reblogs as entries in the post table, with a nullable, self-referencing parent_id field pointing to the original post. This will also give you the leverage to somehow may be customize a tweeted blog yet retain the 'qualities' of a post. Nothing wrong with tweaking the trait. 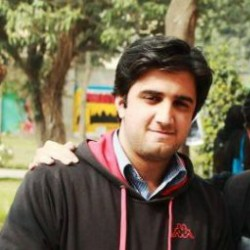 usama.ashraf left a reply on Choosing The Controller Method For API Endpoints? Well you're getting a resource(s) essentially, so index or show if you're following conventions. I think @martinbean's answer suffices. Don't create a single method. /seller/id/products should mean "get all products associated with the seller having this id". With this, this request should be handled in a SellerController. The same for /categories/id/products. I was supposed to do this 4 times; using raw node.js, using async.js, using promises and then using streams. I would seriously appreciate any one who could spend half an hour or less to evaluate my code and see what I did wrong. Thanks ! No. Read up on Laravel Jobs. They can be used without the cron.